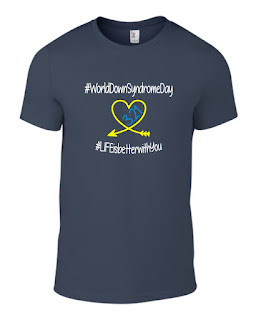 World Down Syndrome Day, March 21, is right around the corner! 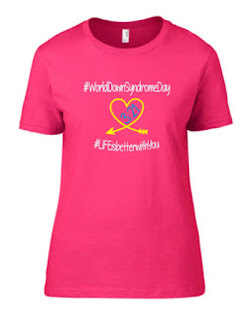 And we would love for you to celebrate that day with us wearing your own #Lifeisbetterwithyou World Down Syndrome Day t shirt! This year we are going to sell our most popular colors! This is available in Women's Fit sizes. This is available in both children's and unisex . To purchase contact your favorite Dreamer or go to our Dreamers Store and scroll down to the shirts. Sale of these shirts will help us to continue to hire individuals in an inclusive environment. Currently we have been able to hire for delivery, production, distribution and events thanks to all of you who support us! We would love nothing more than to continue to grow jobs! Thank you to all of you who have purchased with a purpose! 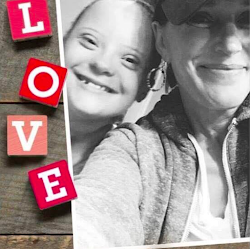 You are helping us make Dreams come true! This entry was posted on Thursday, January 31, 2019. You can follow any responses to this entry through the RSS 2.0. You can leave a response.